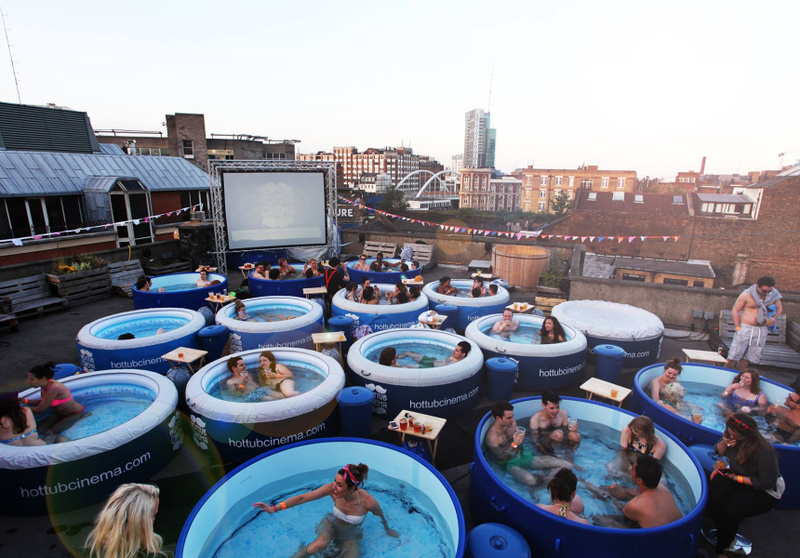 When the hot weather comes Inflatable hot Tub Spas and Swimming pools are perfect for summer or anytime for that matter. Sitting in a tub of bubbling, hot water can wonders for the mind and body. 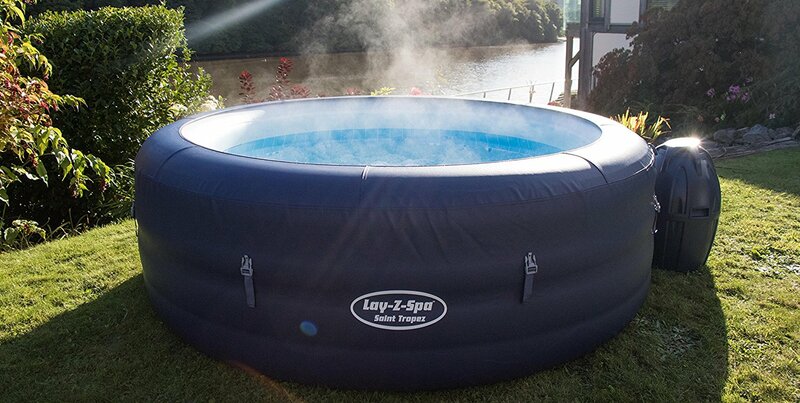 Lay-Z-Spa Hot Tubs are UK’s best selling brand. 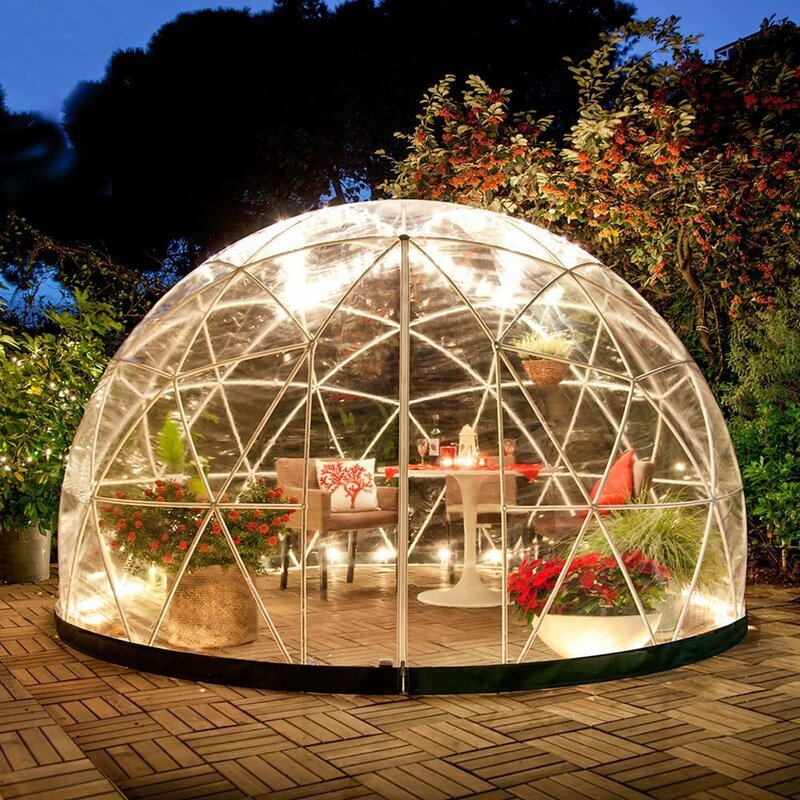 They can be installed anywhere there is a flat surface – in the garden, on a deck or patio, or even in a shed. Just inflate and fill with water to enjoy. The thermostat heats to 140F and there is a micro jet massaging system for even more indulgence. 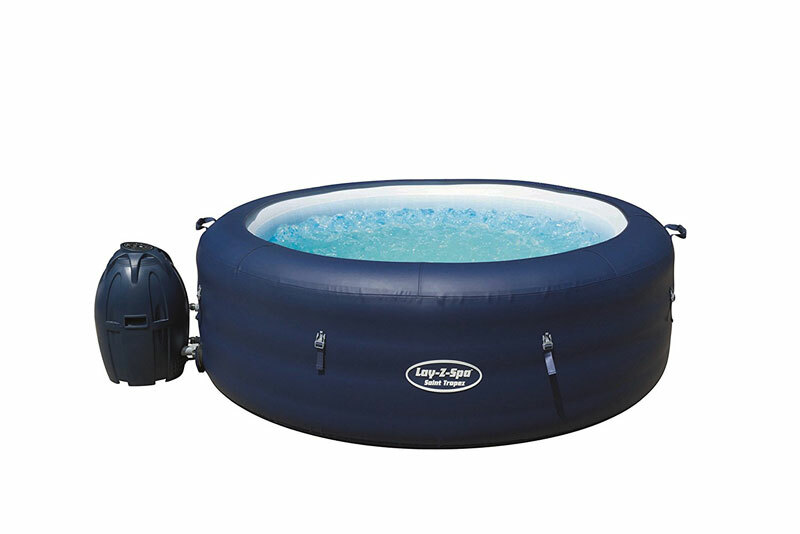 Lay-Z-Spa tubs are inflatable and portable. 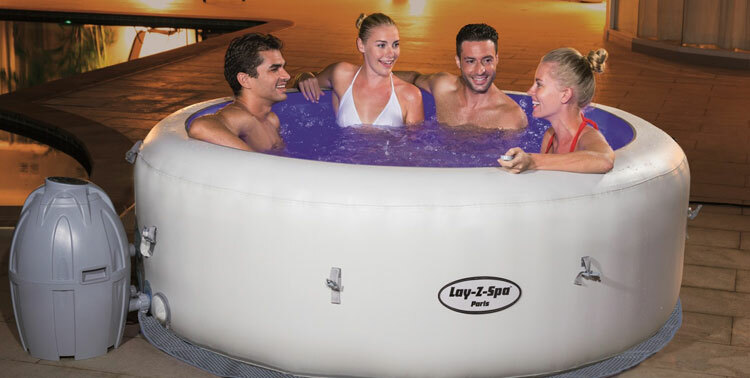 Best SaluSpa Lay-Z-Spa Hot Tub? As long as there is an outlet and water, you can enjoy your spa anywhere. Comfortable and affordable. Their construction is practical and makes them easy to transport. 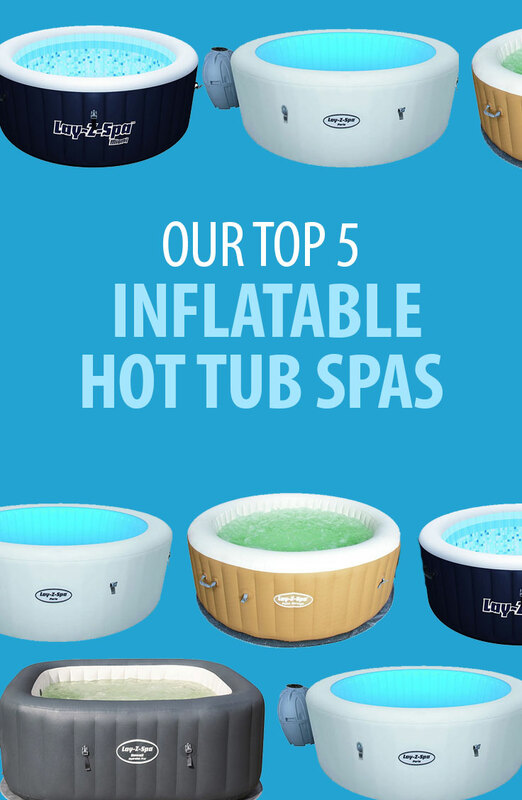 Whichever inflatable spa you choose, you will relax with soothing, warm bubbles. 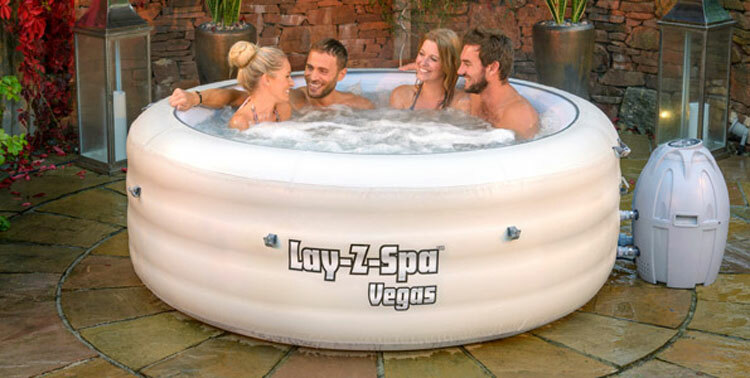 Here’s a review of Lay-Z-Spa’s four popular models. The Miami model is one of Lay-Z-Spa’s most popular models. It is also a great way to go as an introduction into the spa world. The Miami seats 2-4 people and is a great value for the money. The Miami has Lay-Z-Spa’s Airjet Massage System with 81 air jets that surround the floor of the tub. It also has a rapid heating system that heats up to 104F. Energy costs stay low because the cushioned floor helps insulate the spa tub. It’s comfortable, durable, and portable. You can travel with it and will be able to withstand. 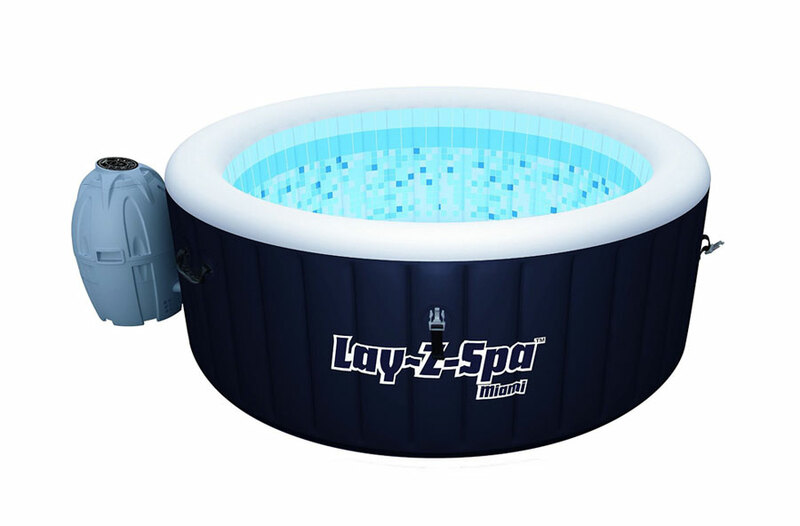 Even though it is easy to set up, all of Lay-Z-Spa’s tubs include a setup DVD. Using the pump heater, the Miami inflates in no time. If you’ve ever dreamed of having your own spa tub, the Miami model is affordable, can be transported anywhere, and comfortably sits 4 adults. It’s great for soaking achy muscles, unwinding after a long day, or enjoying a romantic moment with your partner. Read our Lazy Spa Miami review here. The Vegas is a premium model which comfortably fits up to 4 people and be used indoors or outdoors. It is easy to set up and you won’t need any tools to install. The Vegas model comes with a leatheroid cover with clips that are easy to fasten. It’s been named after the “Entertainment Capital of the World”. Included with this model is a digital control for the massage jets and heating system, as well as a twin pack of filter cartridges and a chemical floater. The brand new Palm Springs model has a guaranteed switch off time and the ultimate in style and relaxation. It is also portable and can be taken just about anywhere. It has a leatheroid exterior that is also puncture resistant with TriTech 3 reinforced material. The Palm Springs model’s premium look has a soft color palette and seats 4-6 people. With its added 100L capacity, this model has a greater water depth and more room for movement. A new feature is the solar sheet underneath the spa. This provides greater insulation which is also energy efficient. Palm Springs offers more features, while still being a great deal for the money. Read our Lay-Z-Spa Palm Springs Spa Review here. The Monaco spa has solid but compact walls. It has a more rigid design than the other models with narrower walls, This compact design allows for an even higher capacity of 1540L of water. This extra space allows for up to 8 people and has some room to spare. The Monaco has a sleek, blue design and sets up in 10 minutes. 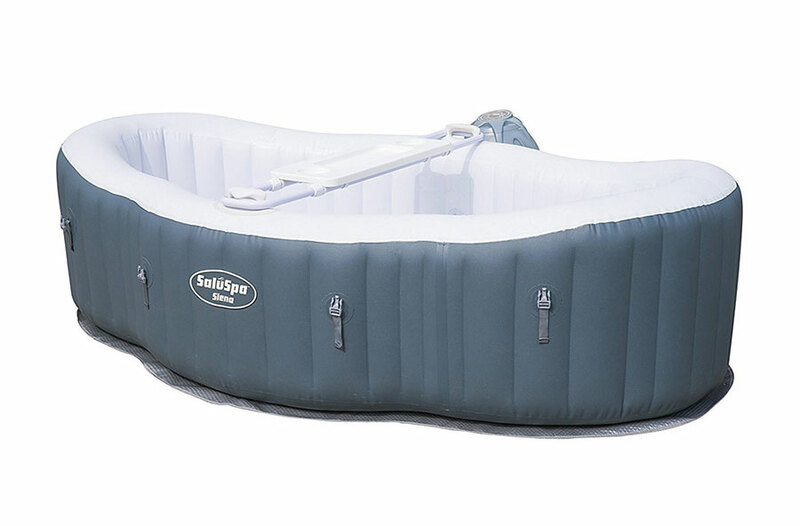 Included is a digitally controlled pump and inflatable disc that insulates the tub. It also comes with a maintenance guide, filter cartridges, and a chemical floater. Like the other Lay-Z-Spas, there are no tools or professional installation required. New for 2014 Lazy spa released the Paris model, a newer version of the popular Vegas spa and also similar to the New York Spa. Designed for 4-6 people it is slightly taller allowing more water to cover your shoulders. New features include the built in LED lighting system that comes with a waterproof remote control allowing you to choose between 7 different colours. The new pump that also maintains the water temperature powers the 96 airjets that are built into the spa. This model also comes with a floor protect and insulator, as well as an inflatable cover that clips in place and helps retain the heat when not in use. 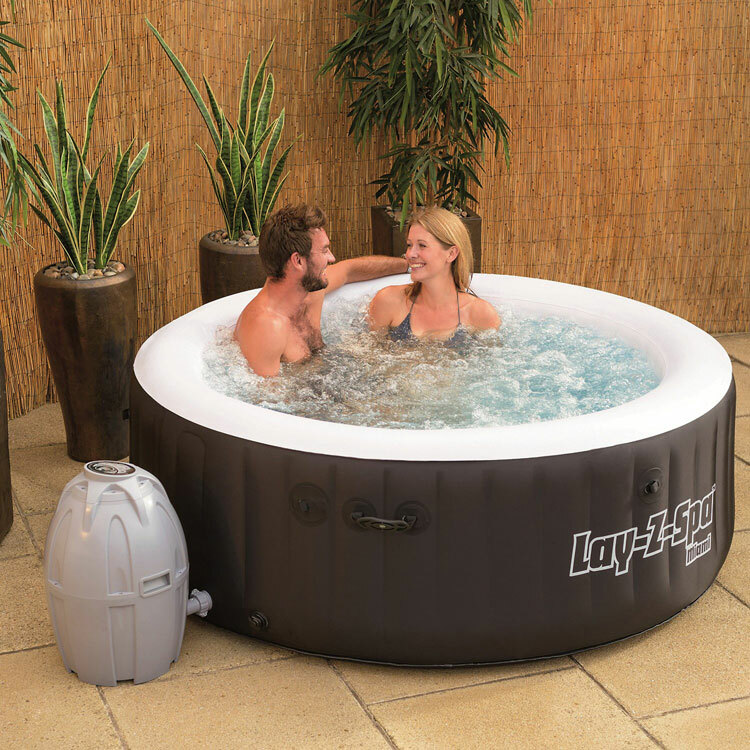 Read our Bestway Lay-Z-Spa Paris Inflatable Hot Tub Review 2016 here. 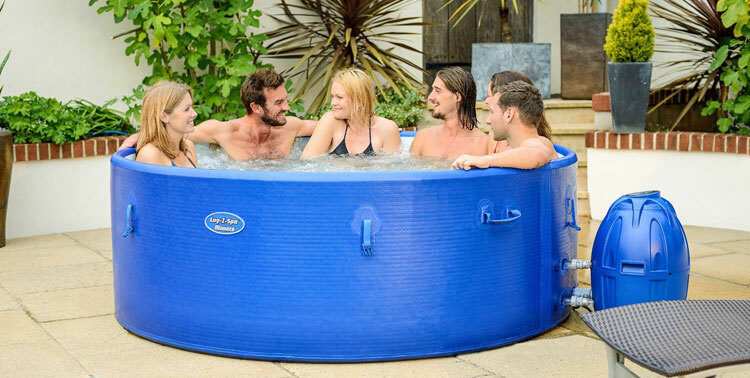 New for 2017 the Saint Tropez is the latest inflatable hot tub from Lay-Z-Spa. Designed for 4-6 people it has 83 airiest to help you relax, this also comes with a floating LED light that has 4 color variations. The light is wireless and floats in the water lighting up your spa, it is great for parties and mood lighting and works well. 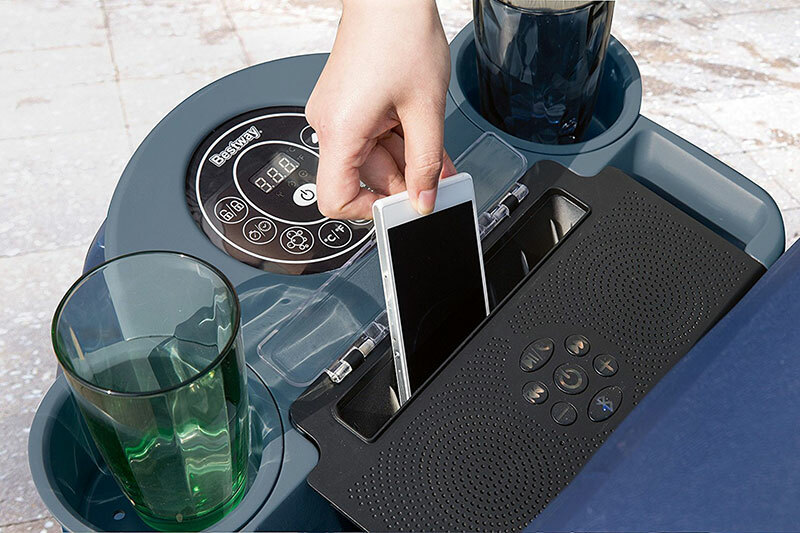 Using the power saving timers you can set the spa to be heated up top temperature up to 72 hours in advance, making sure it is ready for use when you come back from a long days work. 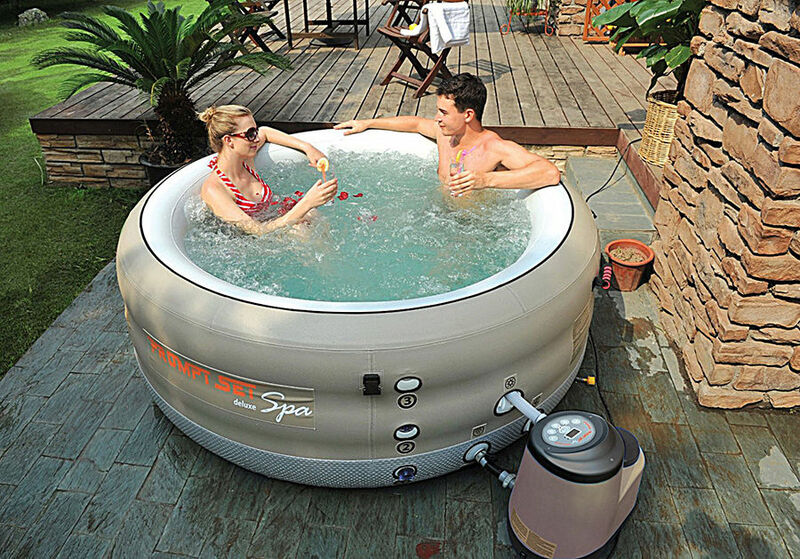 Inflatable Hot tubs provide relaxation but also provides several health benefits. Hydrotherapy is often prescribed for arthritis, stress, muscle and joint injuries, and fibromyalgia. The warm water from the spa helps to stimulate the body, similar to taking a hot bath. Skin and muscles loosen up and circulation is increased. The massaging jets increase blood-flow and bring nutrients to help repair damage to the body. Athletes are known for using hydrotherapy as part of their training regimens. When you sit in a tub of warm water, it raises the body temperature. It can feel very relaxing and lays the perfect foundation for a deep sleep. Studies have shown that hot tub therapy up to 30 minutes per day can helpp with type 2 diabetes. Seek proper advice when using your spa to help lower blood sugar. 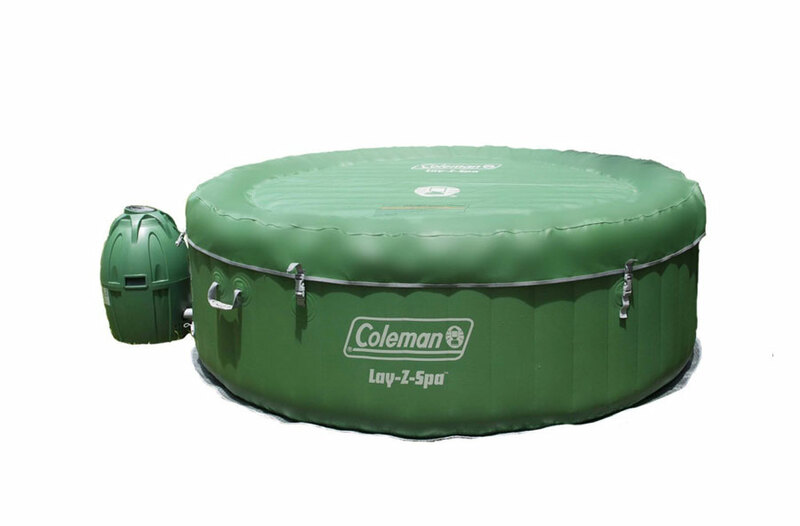 Lay-Z-Spas are inflated by either an air blower on the pump (Vegas model) using a hand pump and pressure gauge (Monaco model ) or using the electric air pump. They all take 5-15 minutes for set-up. Just fill with fresh water and add a small amount of chlorine. A smooth, flat surface is ideal for both indoor and outdoor use. Think about a place where water can drain freely and not cause any damage. Your spa will probably increase humidity in a closed space, so consider ventilation and if the floor is sturdy enough for the tub. Also, you’ll want a level, non-slip surface. 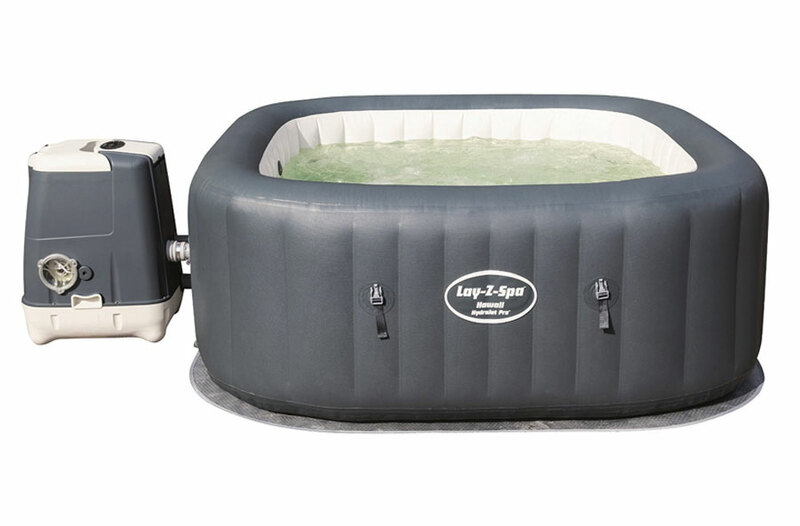 Lay-Z-Spas are easy to maintain and the owner’s manual provides instruction to help with that. There are also set-up videos, chemical and water maintenance guide, and an advice blog. They all come with a top cover, inner disc for added insulation, and floor protectors. These all help to reduce energy costs. 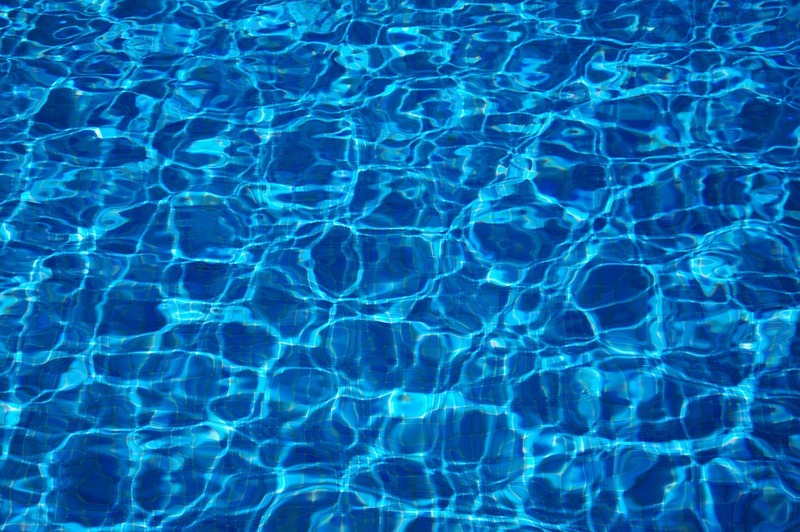 It is important to treat the water in your hot tub for safety and hygiene purposes. It’s also more cost efficient that changing out the water every day. The Clearwater Chemicals are easy to use and inexpensive. These chemicals are specifically designed for use with Lazy Spas. The maintenance guide provides recommended quantities and steps through the process. With proper and regular maintenance of your spa will help ensure that it lasts and continues to bring you enjoyment. The spas will definitely live up to your expectations, lounging in the warm water with friends or by yourself. When first set up, it takes about 12 hours to heat up to temperature. After that, it will always stay heated. The experience will be unlike anything you’ve tried. 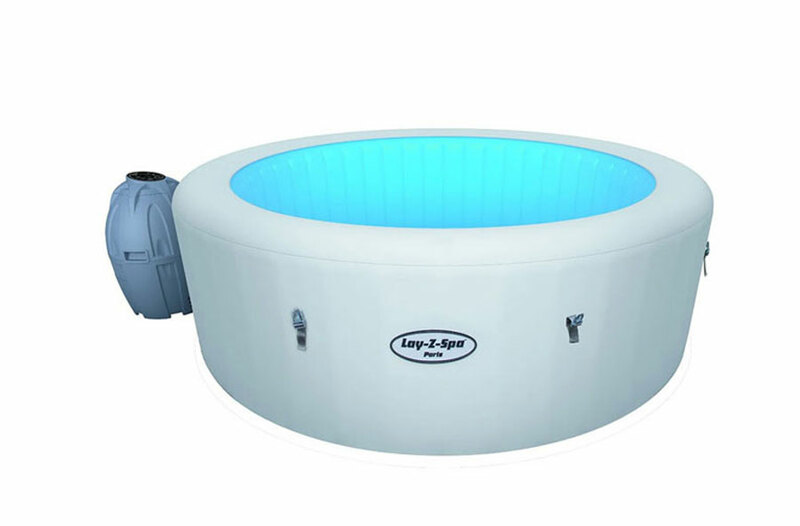 The table below shows the dimensions of all Lay-Z-Spa Inflatable hot tubs. Which spa will you be buying? we have be using the hot tub a few weeks and leaving the tablets in the container in the tub, but the last two weeks when we switch the bubbles on there are fumes that come off and irritate our eyes. The last time we used it we had to get out it was burning and irritating my body. I use the Clearwater chlorine granules and don’t have a problem. Might be worth a try. Good luck.